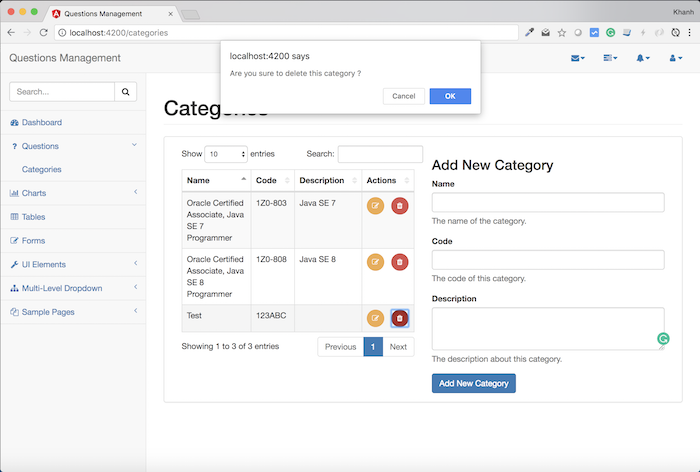 We have prepared the necessary information to build category deletion using Angular in the Frontend section of our Questions Management application such as a CategoryService for calling the API Category Service, a Category object for containing the information of a category, the section displays all the categories in the system. Now we will go into the details of the construction of this category deletion. 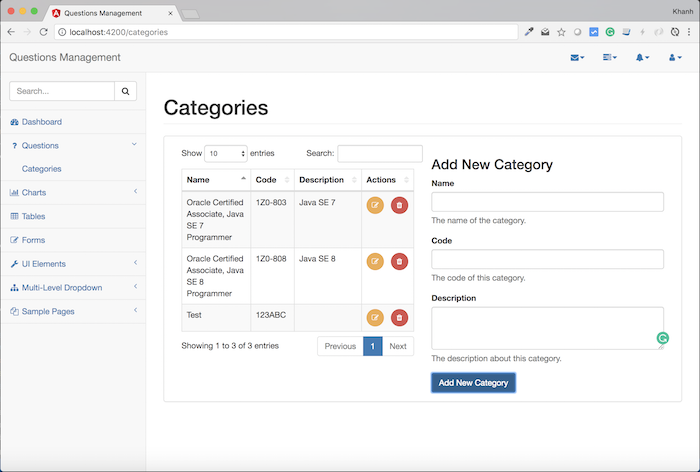 At this point, we have completed the construction of the category deletion for the Frontend section of the QuestionsManagement application. Let’s run the test. If you really want to delete then you just press OK button is okay.